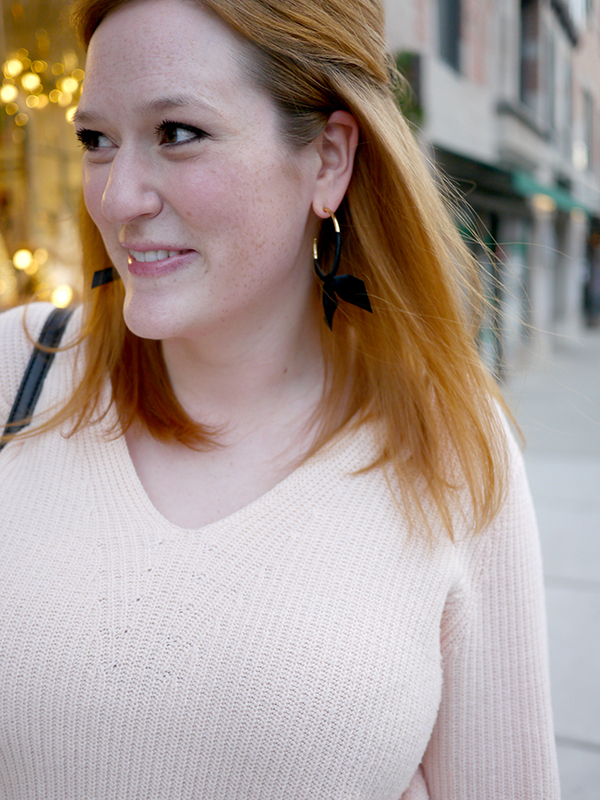 I love love love holiday dressing (in case you couldn't tell) but every now and then I need a break from the plaid. But really though, sometimes it's nice to mix things up. 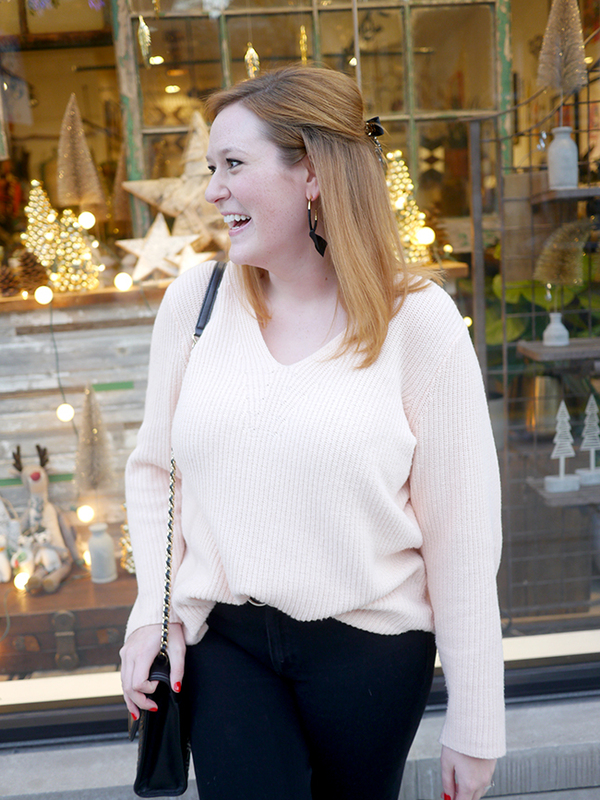 I've been reaching for this pretty sweater (I also own it in cream) on repeat lately - it's the right length to work over leggings, but still feels dressed up when you pair it with black pants. 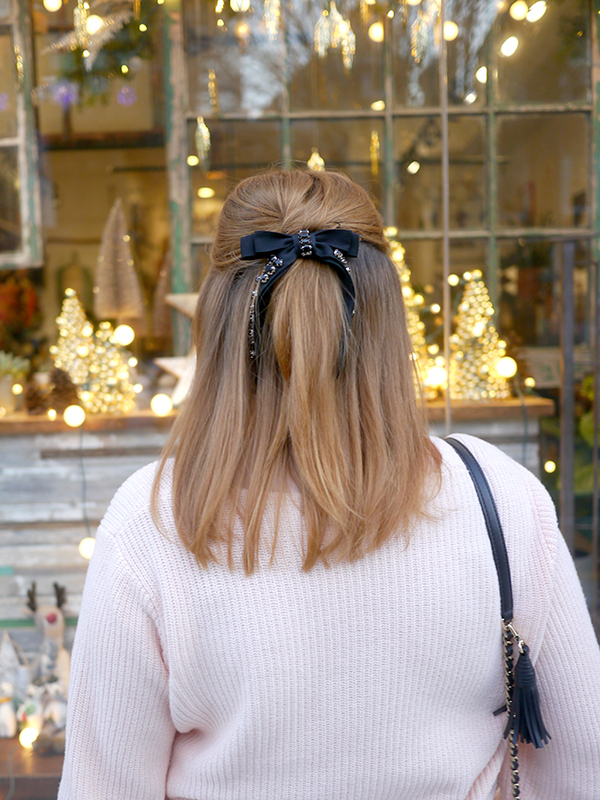 Add in a hair bow (because it's 2017 and we're wearing hair bows again) and you're ready to go! Since we're now less than a week away from Christmas, things have started getting really crazy. Between the parties we went to last weekend and a couple more this week after work we've been going non-stop. Luckily Jeff and I both have Friday off of work so we're hoping to take a little time for the two of us. I really want to do a wander through Lincoln Park to see the Christmas decorations, check out the boutiques on Armitage and Halsted, and hopefully get to Zoo Lights on a day when it doesn't hurt to be outside. In Chicago, it often hurts to be outside. I actually managed to finish up my Christmas shopping over the weekend, so now it's time to sit back, relax, wrap some presents while watching Christmas Vacation for the 47th time, and breathe in the scent of the pine candle I've been burning nonstop for the last few weeks. Bring it on Christmas. Bring. It. On.